The Future and Beyond comprises two of Harold Francis Saltmarsh�s literary and scholarly jewels. 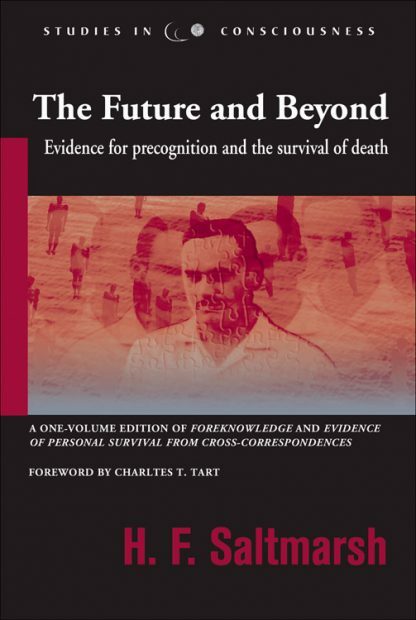 Foreknowledge is Saltmarsh�s thoughtfully organized summary of compelling data from the early 20th century for the existence of non-inferential precognition. He analyzes these startling, well-documented cases of the future affecting the past, discusses the implication of this data for our understanding of free will and causality, and proposes the existence of an extended subliminal present from which we obtain information about the apparent future. In Evidence of Personal Survival from Cross Correspondences, Saltmarsh brilliantly unravels and clearly explains F. W. H. Myers� famous postmortem communications known as cross-correspondences. Myers, a great classics scholar and passionate psychical researcher of the 19th century, apparently sent messages after his death to several well-known spirit mediums on distant continents. Only partially intelligible separately, the messages proved to combine like jig-saw puzzle pieces. They offer striking evidence for the survival of the intelligence that was Myers, and provide some of the best evidence we have for the survival of bodily death. Myers� purpose, presented by Saltmarsh, was to show that these messages were not telepathic or clairvoyant perceptions but were actually communications from the deceased Myers. These two rare books, published here together, belong in the library of anyone endeavoring to understand psychic phenomena. H. F. Saltmarsh was born in England in 1881, one year before the founding of the Society for Psychical Research (SPR), to which he was a life-long and revered member. He not only contributed numerous articles to the Journal of the SPR, he also generously contributed his time and business acumen to serve as a financial officer of the organization. Saltmarsh died in 1943, five years after completing the two books comprising The Future and Beyond.